If you travel in search of elegance, the following ten places are for you. You may know them already. And if not, you've got some fantastic destinations to check out. These choices were revealed in a study of 400 cities conducted by UK-based online retailer Zalando. The urban characteristics that the study looked at included a thriving fashion scene, lively performing arts, architecture with artistic, cultural, and historic value. The city's visitor appeal, safety, cleanliness, and affordable access counted, too. Over 5,000 fashion and architecture tastemakers and critics weighed in. And now for the world's #1 most elegant. You may be surprised. Rome is the world's tenth most elegant city. For nearly 2,000 years, Rome was the power and the glory: the enterprising, thriving capital of the Roman Republic and later the Roman Empire. If you were born anywhere in the empire (and fortunately not a slave), it was your ambition to make it to Rome. All tourism roads lead to Rome today. The Eternal City is one of the most-visited cities on the planet. Walking around Rome, you can trace its eras of history: Pre-Roman Etruscan; the Roman Empire; the Renaissance and Baroque eras; the ornate Belle Epoque style of the late 1800s. When you stop to rest, and immerse yourself in Rome's café culture, you can watch confident, charismatic Romans, and feel you're in a Fellini movie. And Rome's extreme visual elegance is complemented by deluxe hotels, restaurants, and performing arts. And gelato. Milan is the center of Italy's fashion scene, and the world's ninth most elegant city. You can see the coming fashion trends just by meandering around Milan. Its Galleria Emmanuele Vittoria II, a vintage marble-and-glass arcade, is like a cathedral to shopping. But the center of town is the Duomo (Cathedral) di Milano, spectacular with 135 spires and 3400 statues. From here, you can walk, or take the city's excellent bus or subway system, to many of Milan's cultural and historic sites, such as Leonardo da Vinci's The Last Supper (displayed on the convent wall where it was painted); the medieval-to-Renaissance Sforza Castel (and museums); and Teatro alla Scala ("La Scala"), one of Italy's most beloved opera houses. Dining, too, is theater in Milan; dress the part and order risotto, the iconic dish. After dinner, stroll home to one of Milan's standout luxury hotels such as the Mandarin Oriental or Four Seasons. Bordeaux city is France's third largest city, and the seventh most elegant city in the world. Bordeaux is many travel insiders' new favorite city in France, with unmistakable regional character. Plus, it's more manageable, affordable, and sociable than Paris. Since Bordeaux is under three hours by train from the capital, many travelers experience both in one visit. 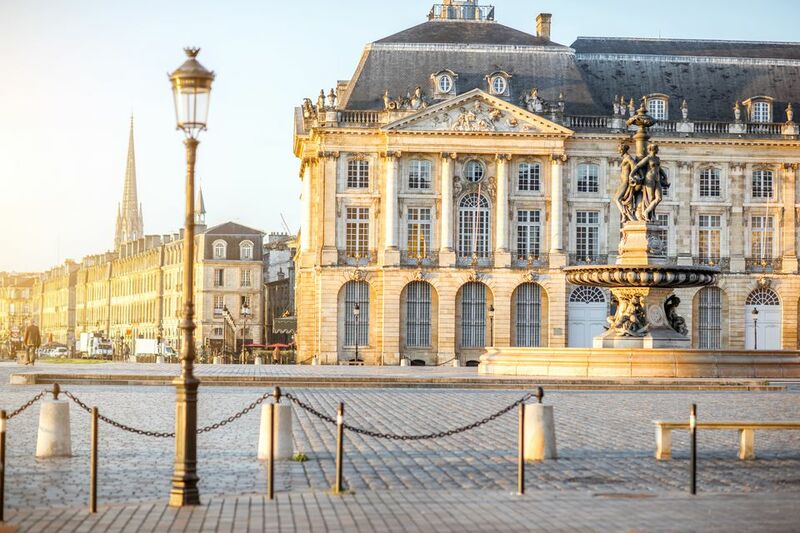 Bordeaux is a stunning, walkable, old walled city with monuments like a 600-year-old clock tower and the cathedral crypt of Eleanor of Aquitaine, a local beauty who was queen of both France and England at separate times. Bordeaux's neoclassical Grand Theater, dedicated in 1780, thrives still. The Water Mirror, opened in 2006, is Bordeaux's answer to the water park: a 37,100-square-foot shallow reflecting pool that everyone splashes in. Since Bordeaux's main business is wine, its food and drink are sensational (and reasonable). Inexpensive wine tasting bars invite visitors to sip and compare. (The hipster bars are in the trendy neighborhoods of Chartrons, St. Pierre, and St. Michel.) La Cité du Vin, a wine experience (and interactive museum), reveals the Cabernet heart of this trending town. These days Manhattan is prosperous, with glitter, glamour, and remarkable safety. Yet the corners of "Gotham" still embody the brash, unpredictable, unique New York of story and song. To taste the New York where real people reside, dream, and ascend, grab a subway train to an outlying neighborhood, perhaps hipster Bushwick in Brooklyn; Jackson Heights or Flushing in Queens; or Sunset Park in Brooklyn (the last two boast remarkable Chinatowns). Bring an adventurous appetite and an observant eye and see: New Yorkers are all in hot pursuit of success. That's the real meaning of New York energy. Barcelona got hot in the nineties and has never cooled down—it's the fifth most elegant city in the world. Unlike many travel destinations that are ruined by the spotlight, Barcelona has only gotten better since it hosted the 1992 Summer Olympics. In the following years, Barcelona went from being the quirky, Gothic-spired capital of Spain's Catalunya region to a global source of trends. Catalunya is in the news for its quest for independence from Spain, and what you find in Barcelona is the artistic expression of the rebellious Catalan spirit. The "molecular gastronomy" craze was born in this relentlessly creative city. And architect Antoni Gaudi's mosaic-laden surrealist buildings have become symbols of Barcelona's revolutionary aesthetic. Barcelona has more: Art Nouveau buildings, beaches, festivals, boutique and luxury hotels, and a Gothic Quarter. In a word, Barcelona is addictive. It's not a big city. But Florence, birthplace of the Renaissance, houses Italy's greatest treasure trove of Italian art and architecture, and it's the fourth most elegant city in the world. A walk through Florence's winding lanes is a time-trip back to the long era of the Medici, the ruthless dynasty whose riches built this enduring jewel box and commissioned its art. Today Florence is a multi-faceted cultural gem, with year-round festivals, concerts, markets, and street theater. Boutiques excel in handcrafted jewelry and leather goods, while restaurants showcase the rustic yet refined cuisine and fabulous wine of the Florence's Tuscany region. But just being here is magical. Check out all the city has to offer and approach the Arno river at sunset. Centuries of awestruck visitors can attest to its magic. You will soon be one of them. Ask seasoned globetrotters which travel experiences have changed their lives. Some will say: an African safari. Some will say: Antarctica. But many will say: Venice. This is the bucket-list destination—the fourth most elegant city in the world—that divides your travel life into before and after. Once you've seen Venice, you understand why people travel: to discover and soak up the glory of the past. Venetians of the past reveled in the prosperity, power, and pomp of their city-state, just as visitors do today. Venice's palaces, churches, and bridges have not changed, and neither has the passion of Carnevale in February. But Venice is elegant no matter when. Wander around its distinctive sestiere (neighborhoods). Discover your favorite palazzo, bridge, and secret little trattoria. You could splurge on a gondola ride, but there are even plenty of ways to experience the city for free! Go ahead, conjure visions of grand boulevards, prancing horses, and literary cafés: the clichés about Vienna, the world's third most elegant city, are true. As Austria's capital (and before, that the seat of the all-powerful Austro-Hungarian Empire), this imperial city is a bastion of refinement. Whatever makes your connoisseur's heart beat faster, you will find it in Vienna: classical music, modernist design, artful pastry, Baroque palaces turned luxury hotels. Do as the locals do: stroll Ringstrasse boulevard, take in a concert or opera, and then relax in a time-honored coffeehouse. That's the best place to marvel at what Vienna has given the world: Sacher tortes and apple strudels, the Vienna Philharmonic, the waltz, and Dr. Sigmund Freud. If English is your mother tongue, England is the mother ship. Its glorious capital, London, welcomes and thrills Anglophiles. To a sophisticated North American, London feels familiar: its multicultural spirit, its entrepreneurial soul, its fashion culture, its language (and that stately accent!). Founded as Londinium, a far-flung Imperial Roman settlement, this city has made history throughout the millennia. Today's London is a city of the future: a porridge of background and traditions, all forging ahead as the United Kingdom. Drink champagne in a chic train station, or enjoy theater in a historic pub. Constantly-evolving London's top tourist attraction, the London Eye, is like the eye of the storm. Look out over London, and see the world's past, present, and maybe future. Out of the 400 global cities in competition for the world's Most Elegant metropolis, Paris triumphed as #1. It's a significant honor, but no one's surprised. The French capital, long nicknamed "the City of Light," has it all. Fashionable Paris is a beacon of French painting, French literature, and French cuisine. This is a place whose very name conjures beauty and fashion—Paris is, truly, breathtakingly lovely. Generations of Parisians have taken care to preserve their city's historic magnificence. Everywhere you look is a photo opportunity, filled with history, grandeur, and charm: the medieval lanes of the Latin Quarter, the gracious late-1800s boulevards, the stunning churches, parks, and bridges. Wonder what the most romantic way to travel is?